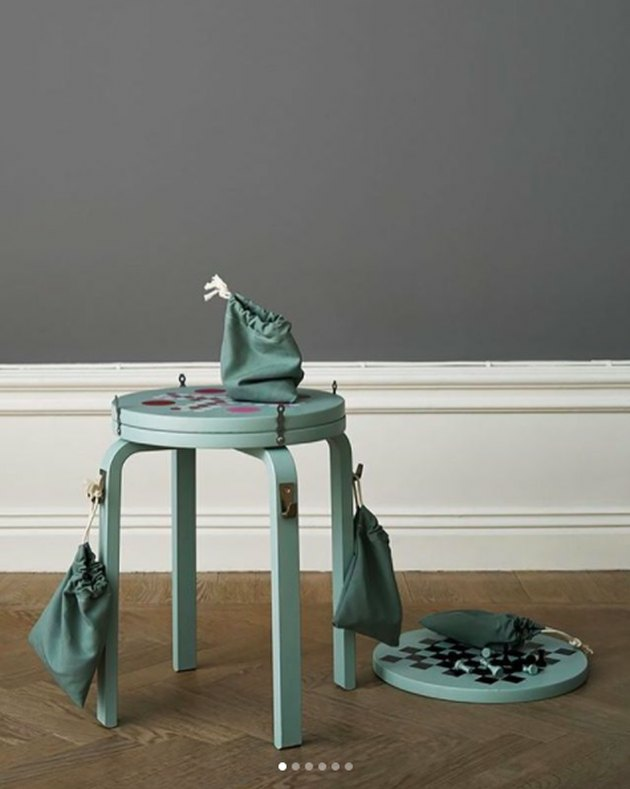 If you don't love Ikea hacks ... then BYE. Just kidding. 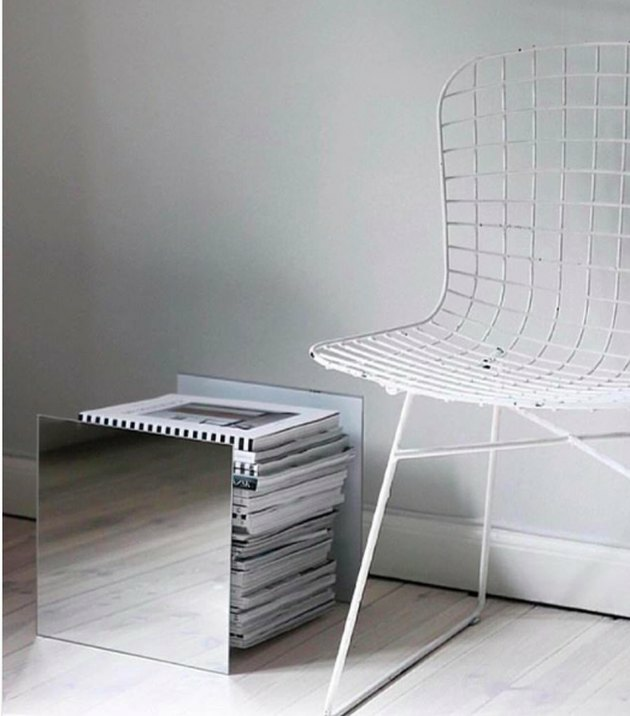 But seriously: Ikea hacks represent a world of endless possibilities, and we're always on the lookout for new weekend projects. 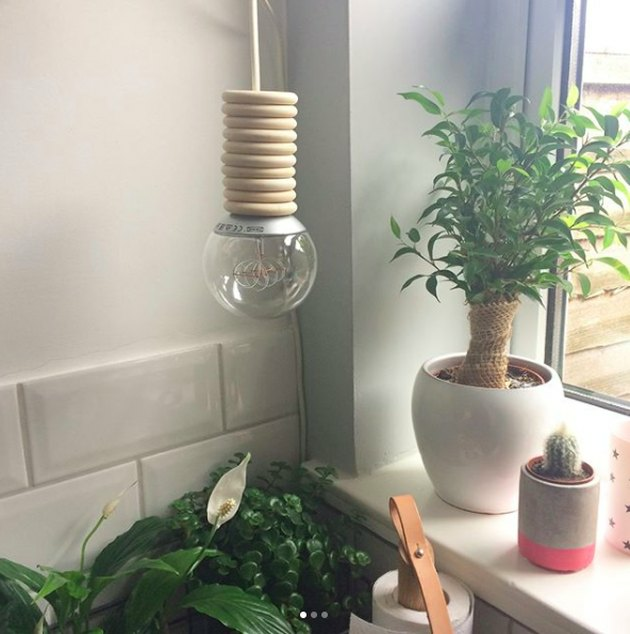 Here are 13 innovative new Ikea hacks we stalked on Instagram — each is fresh and unique! 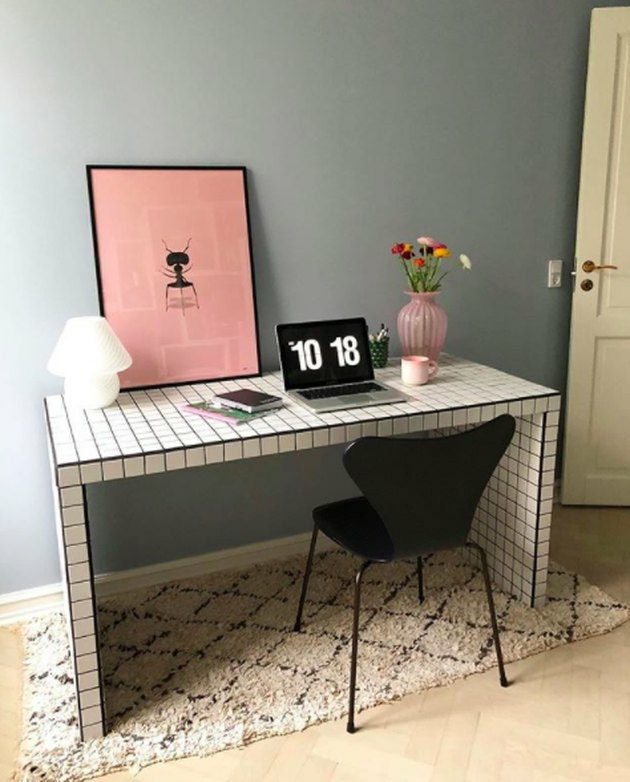 This Instagrammer took a Malm desk and found tiles that fit the desk's width almost perfectly (apparently 4.8 x 4.8 centimeters). 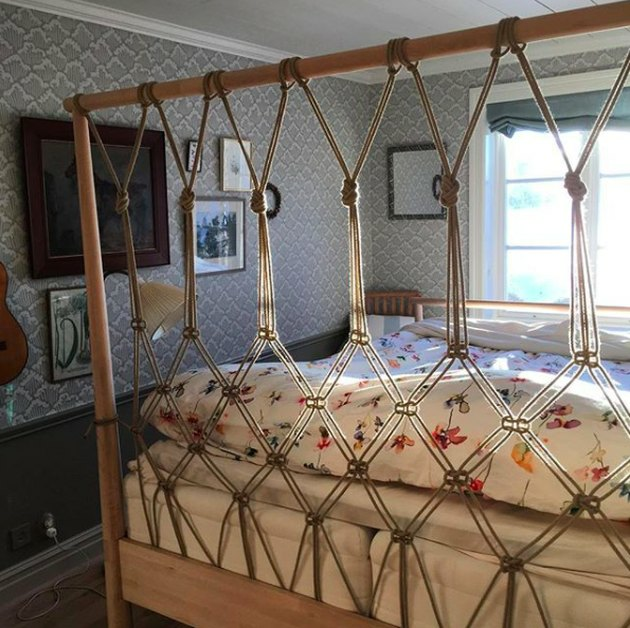 The horizontal bars of the Gjora bed can become hanging points for macrame creations. Check out this beginner's macrame tutorial if you've never tried it before! We'd never believe what's underneath this. It's a cabinet from the Ivar series (think basic, raw pine). 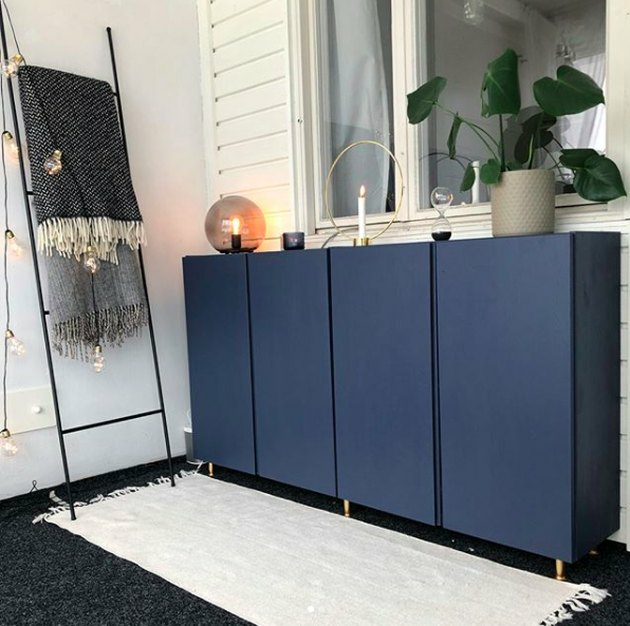 This DIYer added a coat of navy paint and brass feet to give the piece an undeniably glam makeover. Too easy, and fantastically cheap: Take a cord set ( we actually like the Sekond, which is $13.99 and comes in a bright red ), then source some wood shower curtain rings. All of a sudden you have a lamp that looks like it could be sold at Design Within Reach. 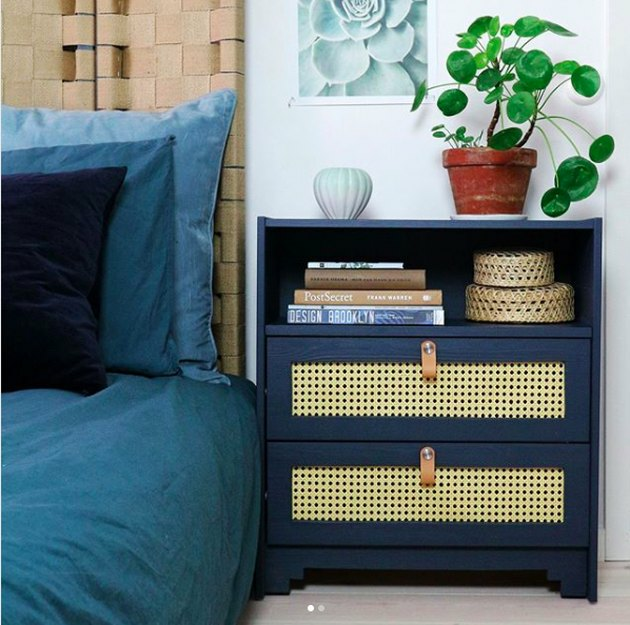 Truly the work of a magician, this Swedish design blogger turned a boring three-drawer Rast dresser into this super contemporary bedside table with leather pulls and cane details. 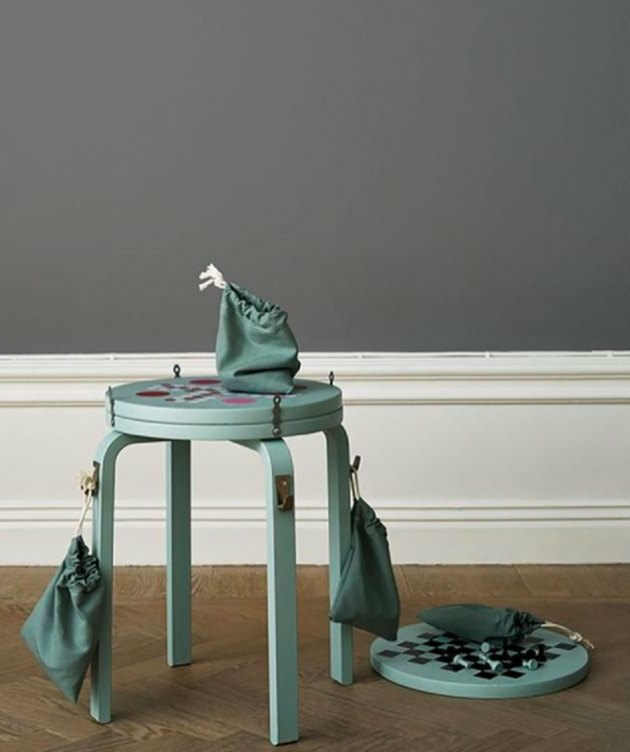 With a bit of paint and some game pieces, you too can turn the classic Frosta stool into a legit family entertainment center. 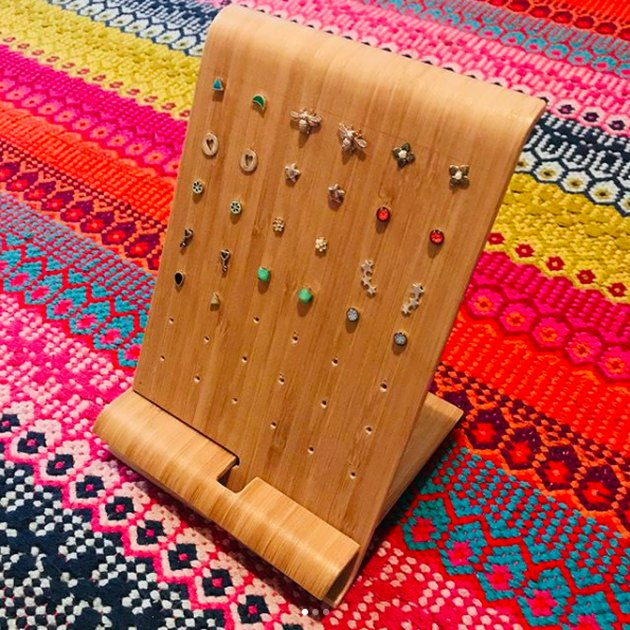 Take the Rimforsa bamboo tablet stand, poke some holes, and you've got yourself a tabletop jewelry organizer. Recognize these? They're Skurar candle holders, turned upside down. 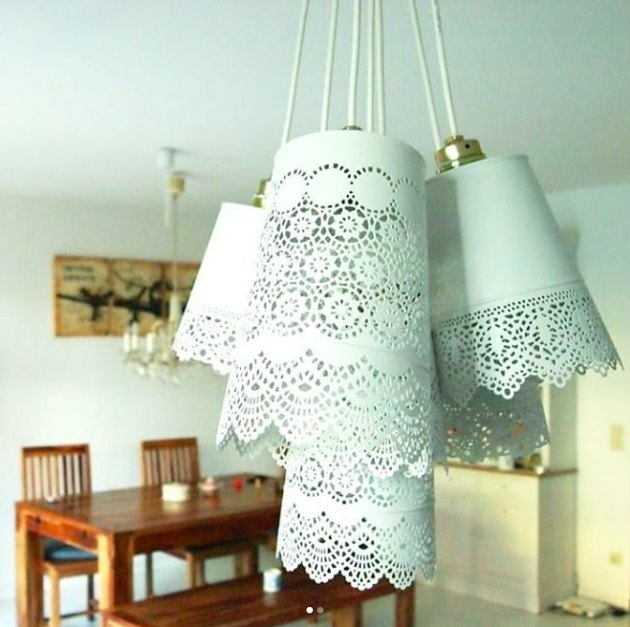 Cut holes to accommodate hanging lights. 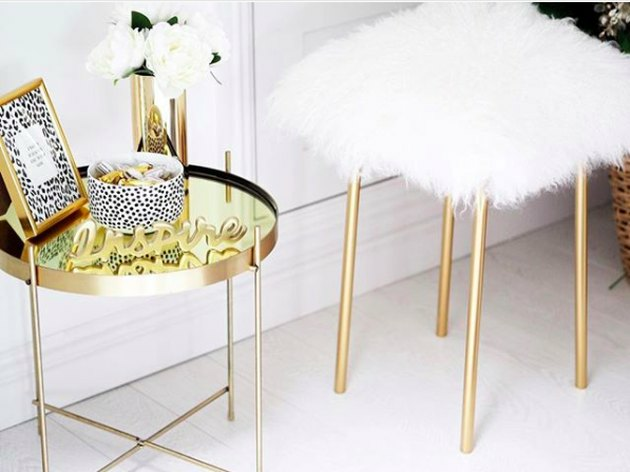 Grab a can of gold spray paint and glam up the Marius stool. You can then attach a piece of the Rens skeepskin rug to the top to create a sweet vanity addition. Sometimes, Ikea hacking is as easy as figuring out an alternate use for a product. 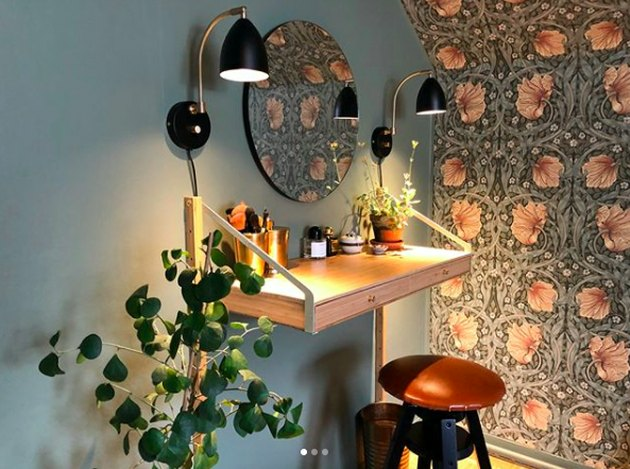 To wit: This vanity, fashioned from the Svalnas wall-mounted workspace. 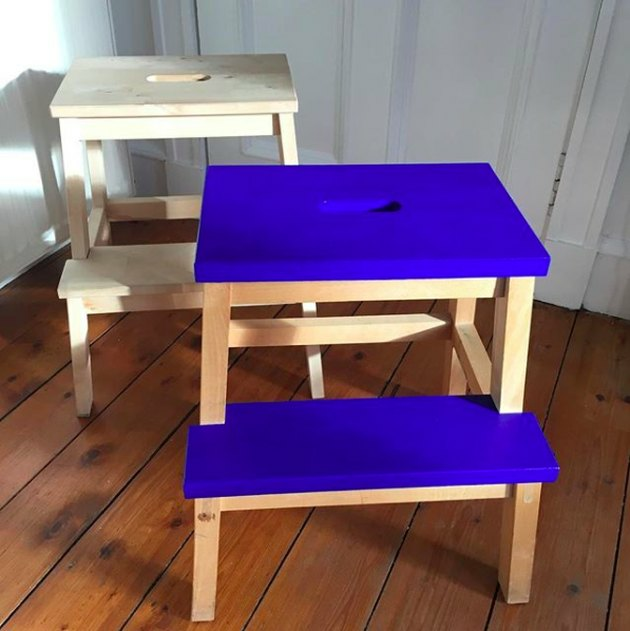 Proof that a coat of paint can work wonders: With an Yves Klein blue hue on the steps of the Bekvam stool, it instantly feels like a high-design piece. Okay, so this hack does require that you have a round piece of wood, but that's easy enough to source from your local Home Depot. 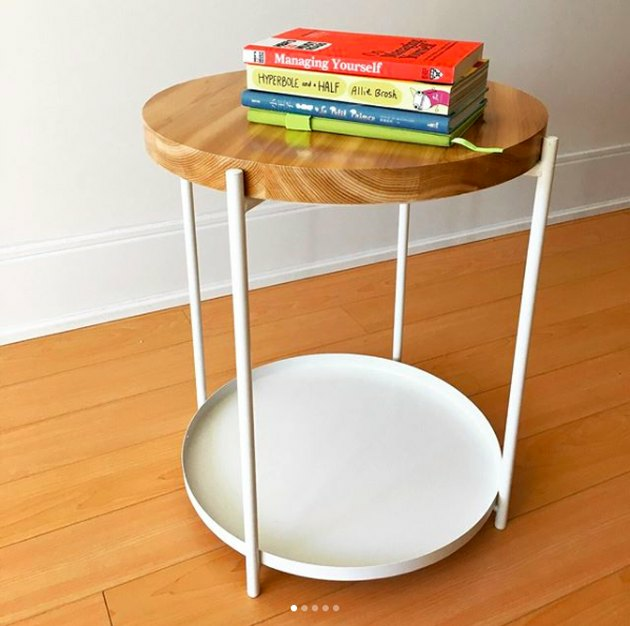 But once you have that, all you need to do is assemble the Gladom table upside down and add a wood top for a super profesh look.